SMO Services in Chandigarh – Still in search of best SMO Company in Chandigarh who can increase your social awareness. If yes then you are at right place. If you own or run a website and do not use SMO services then you are really missing out on something great. SMO has become very important to increase the online visibility of your business. So if you really want to increase your brand awareness then this is the best solution for you. 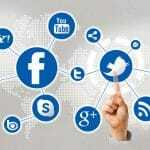 Call 7696228822 for best Social media services. Social media optimization helps in improving your business by increasing the leads, visibility on all the possible social platforms. If you want your business or website to achieve the attention of most people then it is mandatory for you to invest in the SMO. 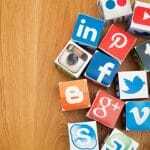 What are Social media Optimization? SMO is the process of increasing the awareness of a product, service or business by using several social media platforms to generate the publicity. 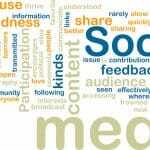 Social media optimization is quite similar to SEO in one aspect. 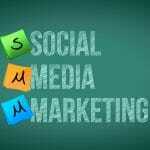 SMO make your website popular on all the social media accounts. So that people get to know about your service. There are plenty of benefits that you can get from the SMO company for your business. SMO is a very essential part of the digital marketing. It helps business to enhance its reach through different social mediums like Facebook, Twitter, Google Plus and many more. If you are confused whether to use SMO or not then below mentioned are the reasons to use them for all the good reasons. Your website or online business will get increased traffic the moment you will apply these services to your site. And when the traffic will get increased. There are more chances of getting genuine customers that actually want to avail your services. Your website visibility will hike like never before. When your website will be well socially optimized. Then you will be visible on many social platforms. Where you will get more viewers and customers. 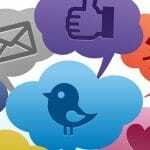 You can also communicate to your customers with the help of social media. And this is the most recent way of communicating to the viewers. Advertisements back in the day were used to cost steep. Social media are now proven to be the best medium to advertise your product or service without spending a buck. If you want a limited number of people to visit your site. Then it can be accomplished with the SMO services. You can target the required audience. Contacting the customers immediately will give them the satisfaction. Which is not possible through other type of advertisements. It helps in increasing business popularity which leads to increase in trust. Social media optimization is also the best way to brand your business, product or service. Chandigarh is a beautiful city and is known for its several businesses especially pharma companies and educational institutes. Every business or website now require these services to accomplish their digital marketing goals. So Chandigarh’s online business owners are no exception in this case. What makes you choose WebHopers As Your SMO Company in Chandigarh? The skilled staff of our company will provide you the abundant social media services so that new and genuine customers come to your website on a larger scale. If you have a small scale business then we will help you to build networks and more customers that will help you to earn more profits. Our team of social media experts will help you gain visibility throughout the social media channels. We are the reputed organization that will make all the efforts to bring your business in light and you will definitely not regret choosing us. You may find many SMO service providers in Chandigarh but if you want the quality service then we are the best for you. SMO is now very important to bring visibility to your website so if you are still not into it then this is the right time to be active.